The 2019 Tax Planning Guide and 2018 Financial Data and Tax Reference Chart contain applicable numbers for the tax year 2018 – in other words, effective January 1, 2018. They are NOT the numbers and rates used to plan for 2019. Those numbers can be found within the 2019 Financial Data and Tax Reference Chart. 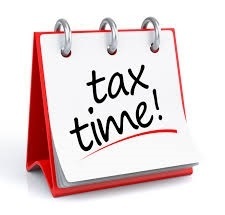 If you would like to make a 2018 Traditional IRA, Roth IRA or SEP IRA Contribution before the April 15th deadline, please contact our office by email or phone at 207-761-4733 and we will send you instructions on how to do so. Hopefully you found this review helpful. Let me emphasize, it is our job to assist you! As always, if you have any questions or concerns about the financial markets, taxes or your own personal financial situation, please contact our office.